Lauren is a whole soul stylist, specializing in chi energy medicine healing, intuitive tarot & oracle readings, health coaching, astrology, yoga, meditation, spiritual empowerment and life mentoring. She’s studied the healing arts along with many holistic and healing modalities for over 25 years. She's developed a method called The Clarity Cure™ method — a holistic healing approach to wellness by addressing wholeness within the body, mind & soul. Learn the story of the woman behind The Clarity Cure™ and how she has created balance between business world and the spiritual realm. As a Dr. Sears Certified Health Coach, Lauren provides a wide range of services to help you achieve your wellness goals. 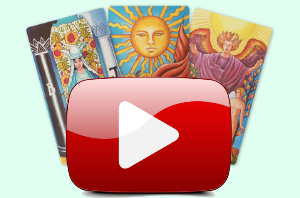 Check out Lauren's YouTube Channel for complimentary monthly tarot and spiritual guidance and advise. Check out Lauren's latest video on YouTube. Check out Lauren's Love Readings on Vimeo.